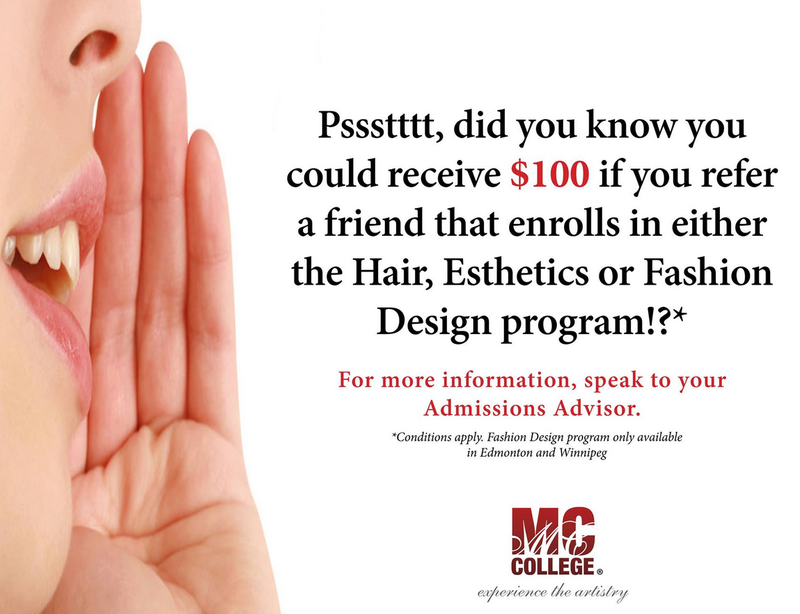 Refer a friend to MC College and YOU could receive $100! The person you refer must mention your name at their initial meeting with an Admissions Advisor. *Only valid to current MC College students and alumni. The MC College Referral Payment Form must be submitted at the time of enrollment. $100 per MC College student.